This post is brought to you by Joann Fabric and Craft Stores. All opinions are my own. During Halloween, I love to see how excited my kids get. The spooky sights and creepie crawlies don’t do much for me- but my kids are loving Halloween and so excited for the big night! 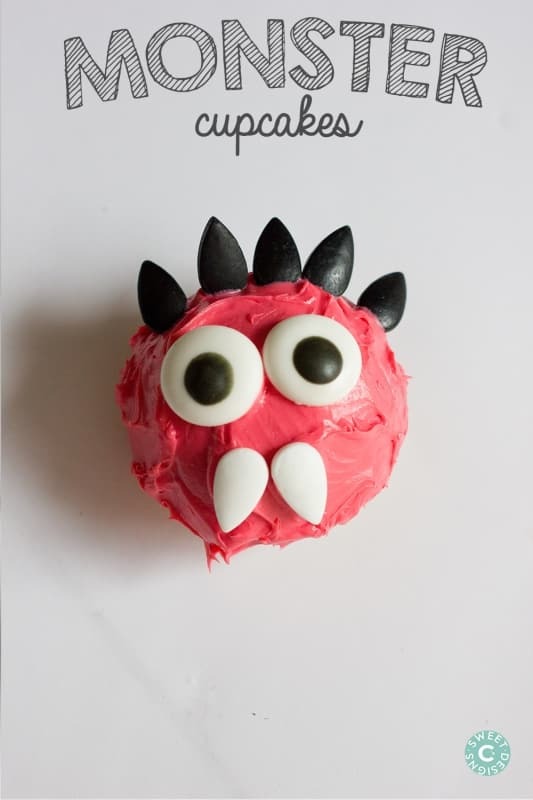 We’ve been doing all sorts of fun things as a family to get excited this year now that my kids are a bit older – these Googly Eye Monster Cupcakes were so much fun to make (and eat)- they are the perfect Halloween activity with your family! I love going to Joann Fabrics and Crafts with my Kids- they have so much fun trying to think up things to make- and I love teaching them that they can make things themselves. I wanted to come up with a fun activity we could do as a family, and when we hit the cake and food craft aisle, we were HOOKED on the fun halloween ideas we saw! Did you know Joanns has a huge offering of all sorts of food crafting supplies and bake wear, and they stock a ton of fun seasonal items like candy, paper straws, gumballs, and patterned cupcake liners? It’s awesome- and addictive! To start off, I filled the pans with one box of cake mix. Fill just below the top of each orb so they don’t spill over and have a little room to grow. When the cakes are done, let them cool completely. Now it’s time to make the spider “hair”. Take a bag of coconut and 1 tsp+ of Wilton black Gel food coloring and add them to a large ziploc bag. The gel food coloring is great for this- it really helps color the coconut completely without giving it too much moisture, which will make it clump! Shake the bag around until all the coconut is covered and a color you like. When done dyeing, open the bag and let dry out for a few hours, preferably overnight. This will help to not spread the color all over the place- and all over your kids hands and faces! After your coconut is dried, it’s time to get decorating! I simply laid out icing in a few different colors and let my kids have at it as I made some fun hairy spiders. For the hairy spiders, I covered the orb in icing I turned black with black gel food coloring, and then topped it with the coconut. I then pressed on some googly eyes, fangs, and licorice legs from the decorator kit. I also frosted a few cupcakes and had the kids help me put googly eyes, fangs or silly teeth as well as some spiky hair on them to be other monsters! These cakes are SO easy to make. And so much fun! I really love that Wilton is making these decorator kits with candy for holidays- they make decorating easy enough for my toddlers, and it’s so fun! These little cakes are cute enough to sell at the school carnival or cake walk- but easy enough its a great family activity ! 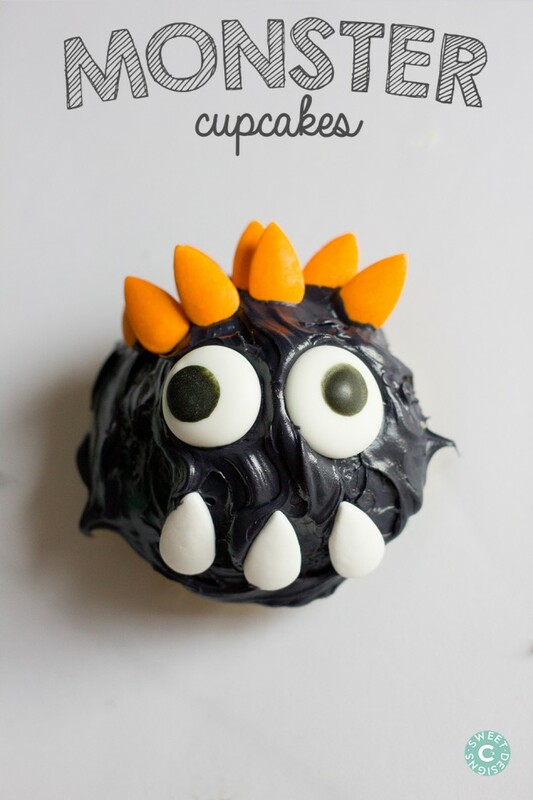 I hope you have as much fun making your googly eye monster cupcakes as we did! My kids are already asking to make them again! These are so adorable! I love them. Thanks for linking up to The Creative Exchange. We are featuring your project this week. How cute. 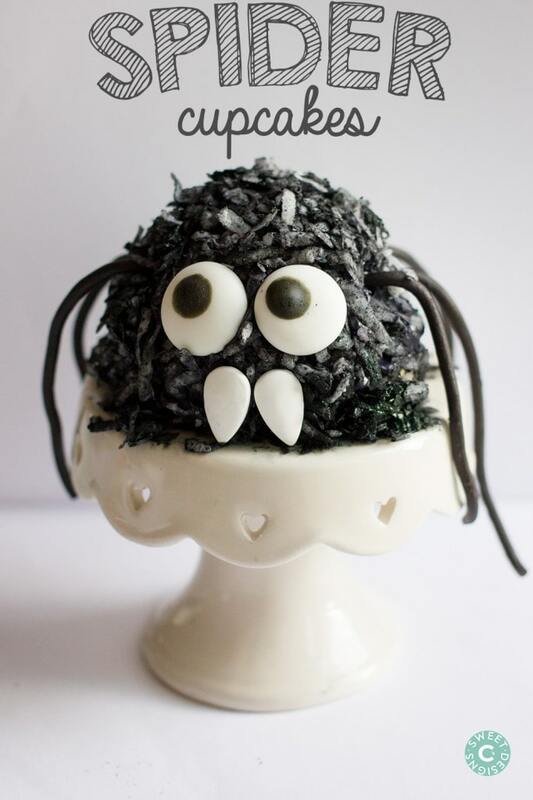 Kids love decorating their food and this would be a fun project at a Halloween activity for kids. Would love if you shared this on the Spooktacular link party. Thee cutest little Halloween treat! So excited to make these! These are way too cute!!!! I can’t wait to try them with my own kiddos!